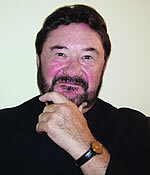 John De Mado has been a vocal advocate for language acquisition in the United States for many years. He began his language teaching career, in the state of New Jersey after completing an immersion experience in Grenoble, France sponsored by Princeton University. He earned his MA in French language and literature at Middlebury College. He has taught in the classroom, supervised language instruction, and coauthored textbooks for Holt McDougal. But he is best known for his motivational keynotes, provocative conference sessions, and insightful professional development workshops. His Spanish and French rap CD/DVDs have energized many classrooms. As well as presenting the keynote address, he will also be presenting a three hour workshop on creating student raps and a one hour session on error and language acquisition.